buynow/bloglater: New jacket + ramble? Standard. New jacket + ramble? Standard. I am a broken record but is it me or is Topshop getting more expensive? I still love it of course and it can be the cause of many exciting retail moments, but the prices?? They are definitely on the rise. A recent-ish purchase from there is a wee cropped collarless tuxedo jacket with three quarter length sleeves and silky lapels....oooh. It was £58 and I think it's probably £10 more than it needs to be. Having said that it's one of those MUST HAVE pieces for anyone who works in a smart-casual office environment. Those words often leave people confused but I think smart casual simply translates to: "make some semblance of an effort". This does the trick. I think the key is the mini padding at the shoulders. It's not Dallas-esque - it's just enough to create an elegant line. * Sparkling water with cucumber - sadly not as refreshing as Hendricks gin and tonic (DIVINE people DIVINE) but it helps make drinking water just that little more interesting. Plus you also get to effectively eat a salad. Win-win. * Ray-ban Aviators - for years I though I wouldn't suit aviators and then last year the assistant in Sunglasses Hut at Heathrow encouraged me to try these. Changed for life! Gold frame, pinky lenses...if I could read mini-teeny-tiny writing I would give you the code. These are lovely....I do love Ray-bans: they are an affordable superbrand: classless and timeless. 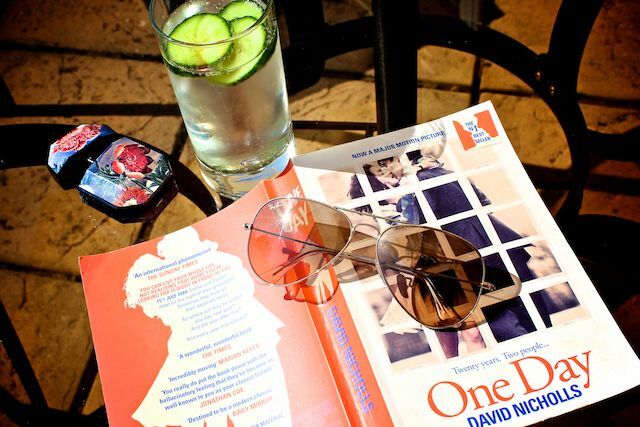 * One Day by David Nicholls - Warning: Tangent: I love reading and I normally read on my Kindle. But I was at the airport and realised I forgot it on Saturday...so I had to actually buy a physical book! Retro! It made me realise that although the Kindle is a fantastic invention, and reading on it is wonderful, the process of shopping for a book is just not the same. I miss that buying experience because I enjoy provisionally flipping through a title, checking out the artwork, reading the description - it's a comforting act that's just not the same when you have a downloadable device. Back on track: This book is one of those ones you see in the bookshop for months, ignore, then when you do buy it devour in 2 days. I recommend this to women and men alike. Read it before the film comes out if you haven't already (I know alot of people have). * Stella McCartney perfume in the Fashion Edition range - I was sent this - I think because of my Stella Sheer review. I also think the Sheer has adjusted my palette in favour of a stronger rose (well that and my beloved Jo Malone) because now I like the original version. There are two strong notes - rose and amber. It's simple and summery. I wore it all weekend. However, the reason why I wanted to include it here is for one reason and one reason only: the packaging! It almost feels antique to me - yes I am nodding to myself as I write this. It looks like a special treasure from a different era. 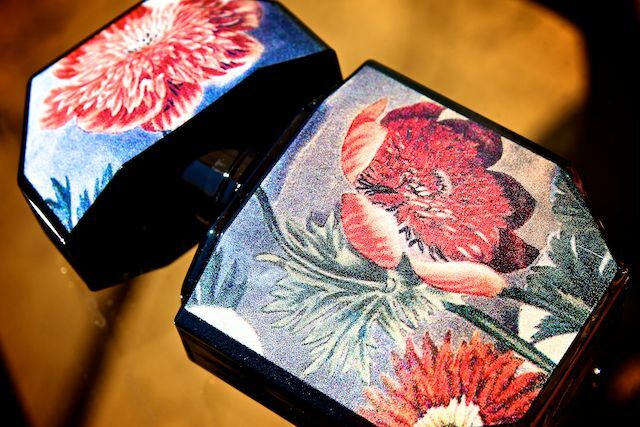 These are little 30ml bottles - there are three to collect - and they come in the most beautiful prints. This by the way is look 3. Any book recommendations very much welcome! have you read a miliion little pieces by james frey? i couldn't put it down.. I adore the original Stella! It's one of my favorites along with Daisy, Delices de Cartier, and Black Orchid. I need to try the water with cucumber thingy, I can't make myself drink enough water these days! Plus I am in need of some veggies for sure! @Nahida - three absolutely lovely perfume :) good taste! I was thinking the exact same thing about Topshop, I brought a very basic black jersey dress, nothing special and it was £38, slightly resent shopping there when H&M had just as nice pieces. One of my favourite reads lately has been the girl with the dragon tattoo, and then the two books after it. I know a lot of people have read it and all the hype put me off at first but I ended up really liking it. It's not a light read as some of the topics in there are a bit serious but I thought they were really entertaining and I loved the characters. Ramble over! You are like the queen of the blazer! I have blazer envy of you. Totally agree about Topshop prices, although I seem to spend my life moaning about rising prices. 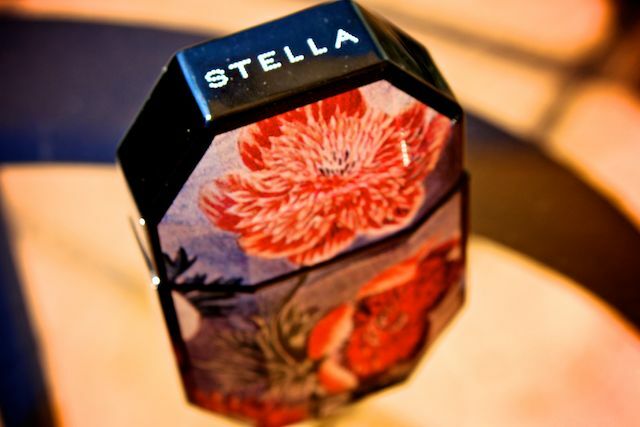 Must check out those Stella perfume bottles. You need to read the help if you haven't read it yet. And def read it before the movie comes out! i loved one day ,looking forward to the film have you read the time travellers wife ?? @Candice - I haven't! Thank you for the recommendation! @sarah - i have indded :) loved it! i think i also cried reading that! Love topshop but agree prices are def on the rise! Is the skirt the midi from the current h&m collection ! you are not the only broken record it would seem ;) topshop prices are so expensive compared to back in't day! im craving a kindle but am holding back a little for the proper book experience you talk about, feel as though reading from a tablet will be more impersonal or something.. I reaaally enjoy that perfume bottle. Sometimes I want to buy the perfume just for display purposes ;) I love my cheap-o aviators but have been warming up to the idea of splashing out on some RayBans. Watching LisaLisaD1 and now seeing yours..it's becoming difficult to resist! And I feel very much the same about tangible books. I don't own a Kindle but I feel a tug of sadness when I think of actual books going out of style..I love the look and feel of real books. And I love displaying them on a bookshelf! Thanks for the rec, I'm gonna add it to my giant list of books I'm going to read as soon as I graduate college (in 3 weeks)! Apologies for the mammoth comment! p.s. I want that perfume just for the bottle! Favorites at the moment--books about running. Probably alone in that, but hey, it's true. I'm waiting to hear about a really good piece of fluff before switching back to fiction! 805/13 'III' style and they are just perfect, massively over-sized as so easy to wear! the stella mccartney perfume bottles are lovely! and the water with cucumber looks delicious. Laura, please tell me you've read 'Getting Rid Of Matthew', or at least that it's on your reading list?! I'm loving how that Stella McCartney perfume is packaged. I'm a sucker for packaging as well! It makes a product more amazing. I like you polkadotted top. From where? the packaging is absolutely lovely! Love your outfit! I like the Shopaholic book series by Sophie Kinsella. I didn't really like the movie (I read the books before the movie was made), but the books are funny and quick reads. i have the same view on aviators.. i haven't found the right lense size and probably the right frame colour but i don't think (with my face structure - very high cheekbones) that it will suit me.. and same with books.... i love the smell of new books and i enjoy the whole process of shopping for one.. although i haven't had the time to actually sit and read.. sadness i tell you!! ps. for a moment i thought that perfume was a lighter and immediately thought "no laura, don't smoke"
I totally agree with the Kindle thing. I had to buy an actual book recently and its so strange carrying a book around. And I've got to read that book. I finished The Hunger Games Series and I'm working my way through the Girl With the Dragon Tattoo series and then I'm getting that book! I'm about 3/4 through One Day (on my Kindle) and am loving it. Sappy but not overtly so! Sorry but I'm going to completely bypass all content in your (very lovely and engaging) post and go straight in with a book recommendation! My fave book is Love in the Present Tense by Catherine Ryan Hyde, I recommend it to everyone I meet and it's a beautiful story. Totally - the prices are ridiculous but I just can't resist! Made a few savings from the sale yesterday tho! For books, I'm a huge fan of Jonathan Franzen. I loved «Freedom» and «The Corrections». Check them out ! eurgh topshop are lame! the quality of their products also seems to go down as their prices rise. i've stopped shopping there. I LOVE the h&m top, & especially the price of it! Book suggestion....The Help! Totally ignored it for weeks and can't put it down now!!! I just finished reading "One Day" on Tuesday. OMG. I could not stop crying!!! I sort of hated the ending yet loved the book! Love the jacket, I know what you mean about the prices going up. I always used to shop there but now I'm finding that it costs too much.. I started "one day" 2 months ago, but also couldnt get past chapter 1. guess i'll try it again, if everybody loves that book. This is a great little post - the first I've read on your blog. 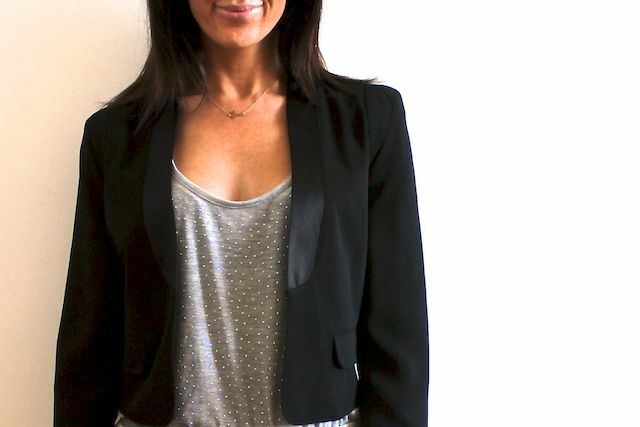 I love this blazer but totally agree about topshop pricing - H&M have very similar pieces at a much more affordable cost. I've got this book too but have never read it - reading this post makes me want to pick it up! Well I had no idea you were over here blogging. Here I thought you had just vanished from YouTube with nary a note or pic. How wrong am I?? What a lovely blog you have! And are you a writer-because surely you should put your way with words to work. Since you're asking - I highly recommend anything by Haruki Murakami. Just read After Dark and it was stunning.